Chef Chris Koetke is cooking with citrus! He whips up a tasty beet citrus salad and shows us how to make crepes suzettes. And, Chef Myki Romano jshares her recipe for chicken with wild and long grain lemon rice. We whip up a tasty beet citrus salad! We make low-fat crepes suzettes! 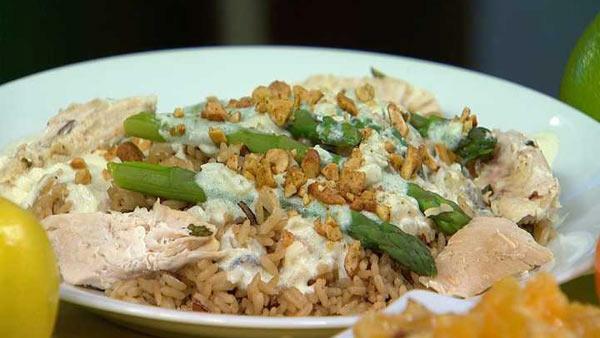 Chef Myki Romano shows us how to make chicken with wild and long grain lemon rice!